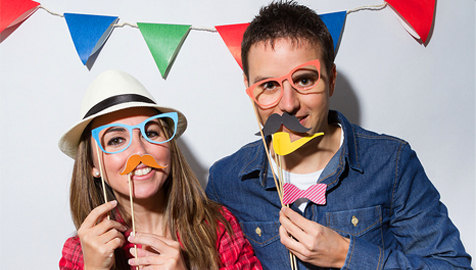 Print our Funky Photo Props onto stiff paper or cardboard. Cut them out and stick it onto skewers using Bostik Clear. Bostik Double-Sided Tape Roll works really well when using flat ice cream sticks. Use your Funky Photo Props as is or bling them up using Bostik Rainbow Glitter Glue.